Before you know it, St. Patricks Day will be here. What better way to celebrate this day of luck than with some truly delicious treats? The great part about these snacks is that they all have a bit of green in them as well! (Does green crumbs on your face count as wearing green that day? If so, count me in!) I know one of these 12 St. Patrick’s Day Snacks Everyone Will Love will quickly become a favorite in your household. You don’t have to be a baking expert to create any of these delicious St. Patrick;s Day treats. Many of them are so simple, they would be a fun dessert to make together in the kitchen as a family as well. With that being said, let’s not put this off any further! 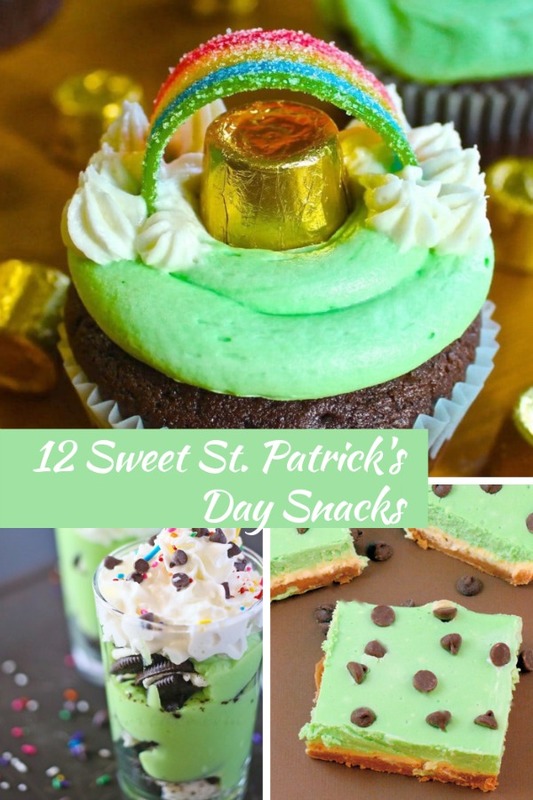 Get your baking caps on and get ready to fall in love with the ease of these St. Patrick Day snacks! If you’re on the hunt for delicious St. Patrick’sDay snacks, look no further than these 12 treats! 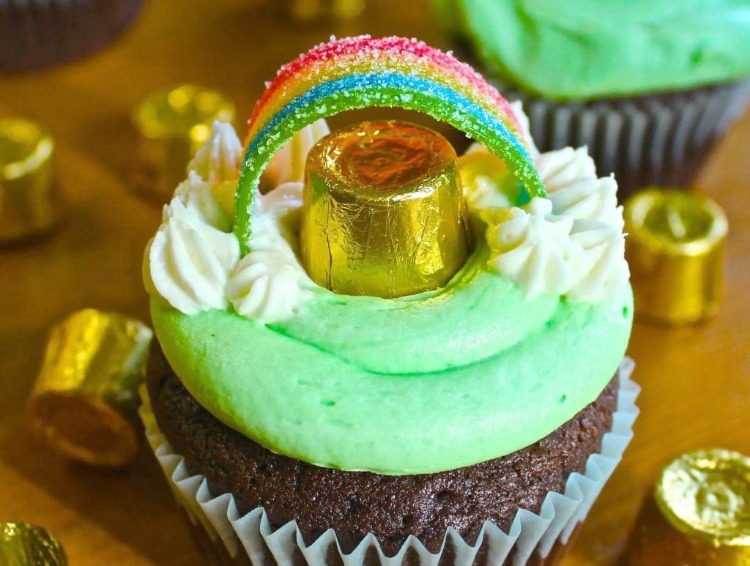 Leprechaun Dessert Shooters by Kleinworth and Co. See?! What did I tell you? So many amazing St. Patty’s Day snacks that you’ll never run out of options. All you need to do is pick one (or twelve) and get started! Are you looking for the pot of gold at the end of the rainbow? And if you are feeling froggy, go ahead and make them all! One can never have too many sweets and treats to celebrate this lucky holiday! Do you have a favorite St. Patrick’s Day snack to make? Do you need ideas for a full meal? 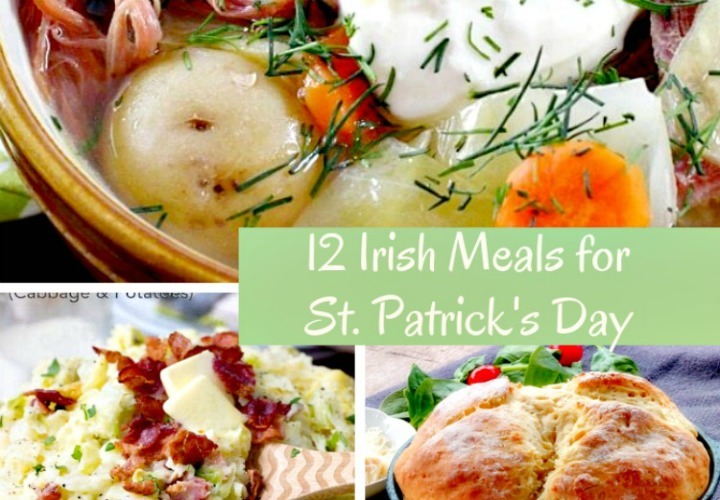 Here you go with 12 Irish Meal Ideas.